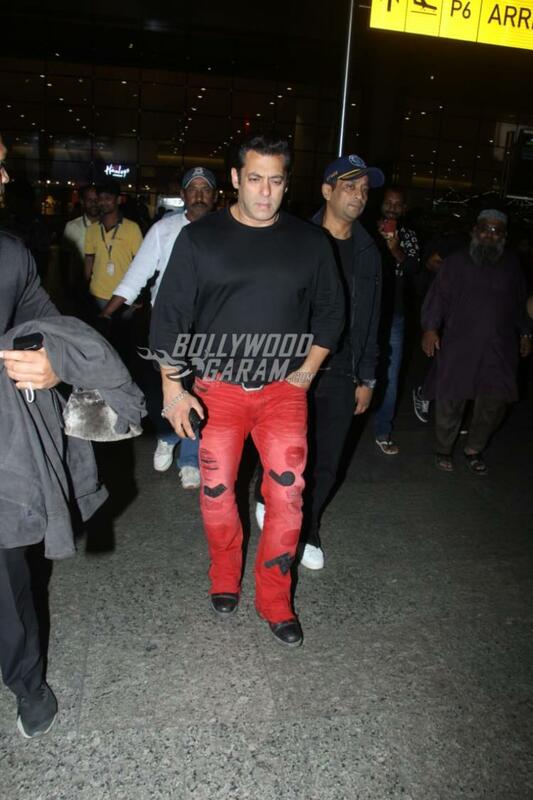 Bollywood star Salman Khan was snapped at the Mumbai airport on November 30, 2018. 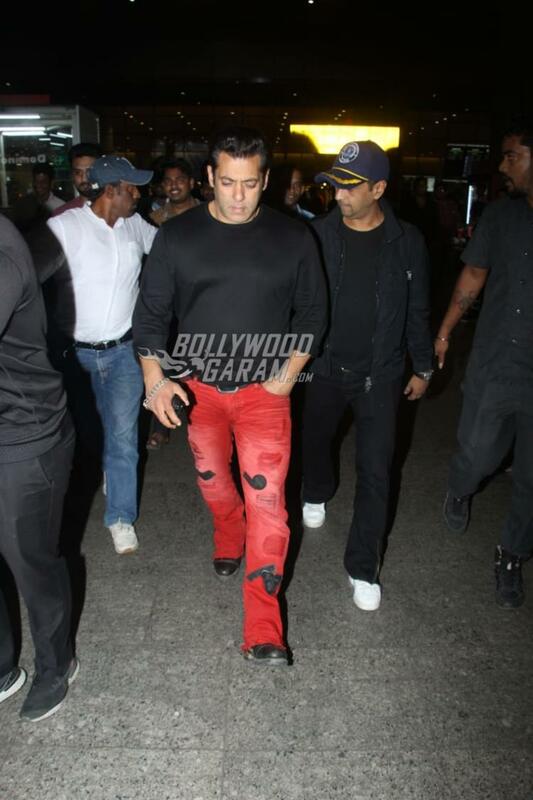 The Dabangg star was snapped returning from Cuttack where he was invited for the opening ceremony of the Hockey World Cup at a stadium. 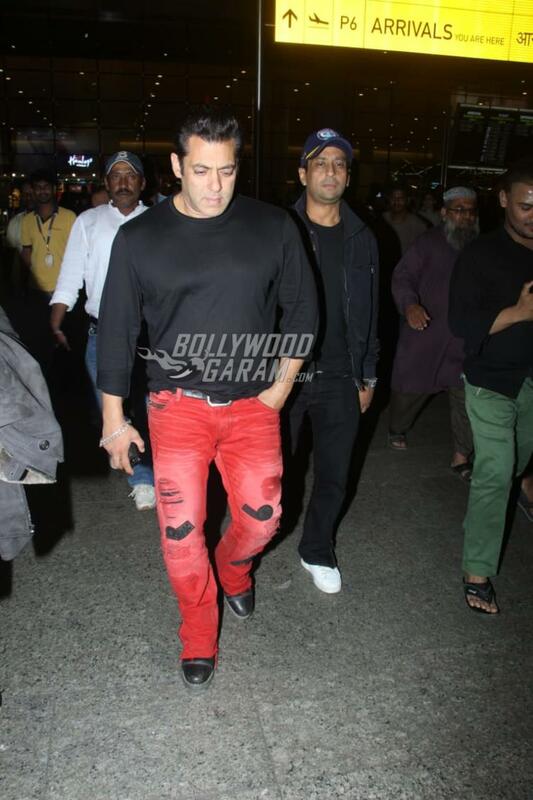 Salman looked dapper in a black pullover and bright red denims with black shoes. 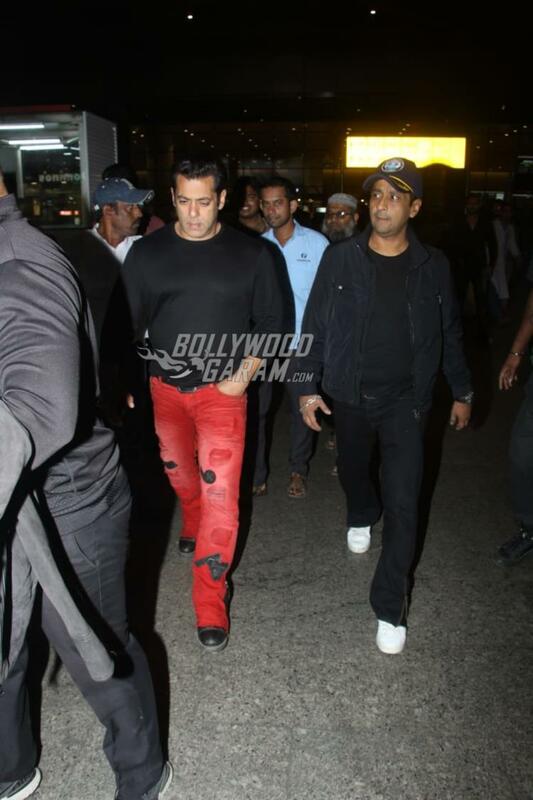 The actor was snapped making his way out of the airport as he was clicked by the paparazzi. 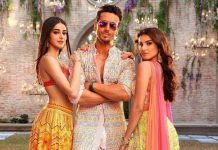 On the work front, Khan was last seen in the film Race 3 in which he played the role of Sikander and will be seen in a special appearance in the upcoming film Zero which has Shah Rukh Khan, Katrina Kaif and Anushka Sharma in lead roles. 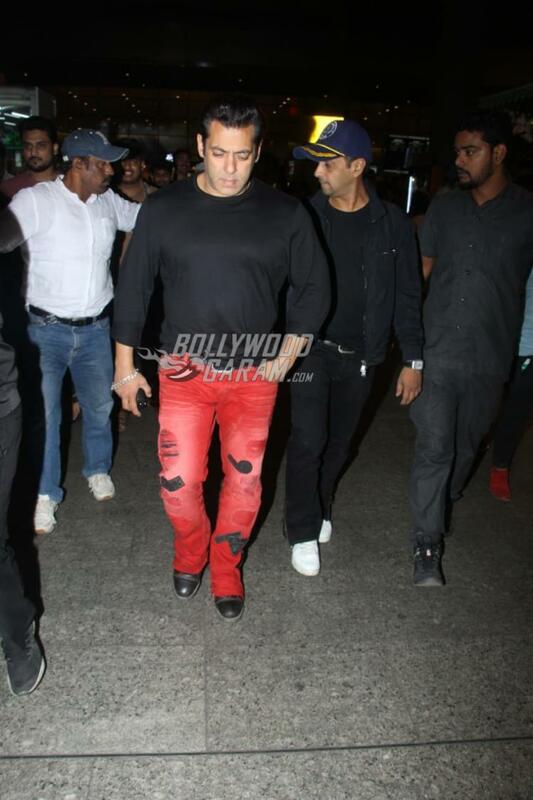 At present, the actor is preparing for the upcoming films Bharat which is directed by Ali Abbas Zafar and Dabangg 3 which will be directed by Prabhu Deva. Salman is also hosting the ongoing season of the reality show Bigg Boss which has now shifted its base to Goa from Lonavala.